Disaster preparation, management, and recovery is a complicated, high pressure, and costly endeavor. A hardware and software disaster management solution providing analytics, communications, and organizational capabilities to streamline disaster preparation, management, and recovery efforts. Manage incidents with Owl cloud software regardless of the incident size, cause, or location. Accumulate and analyze data, predict weather patterns, and manage resources before, during, and after a disaster with Owl --- just by talking to it. In the worst disasters, cellular and electrical networks might be offline in the area. 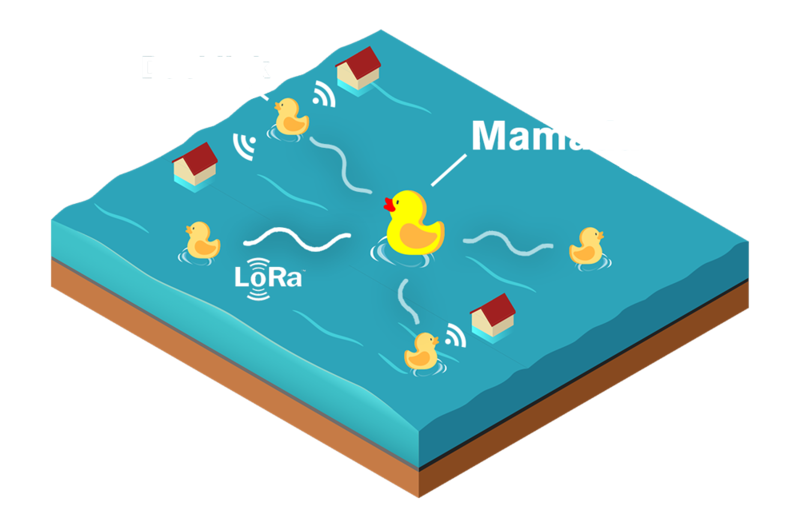 The Clusterduck mobile network is made of portable IoT devices - called "Ducklinks" - that collectively provide an ad-hoc internet network. Through the Clusterduck network, OWL incident management can be leveraged in situations where traditional infrastructure is unavailable. Owl is powered by the latest IBM Watson AI and IoT cloud services. Moving forward, there are many more experiences to make for Owl software and Clusterduck hardware. Want to build with us? Contribute to open source experiences for the Owl incident management system or build on top of the Clusterduck base hardware.